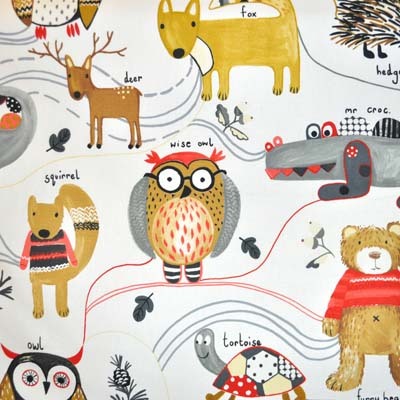 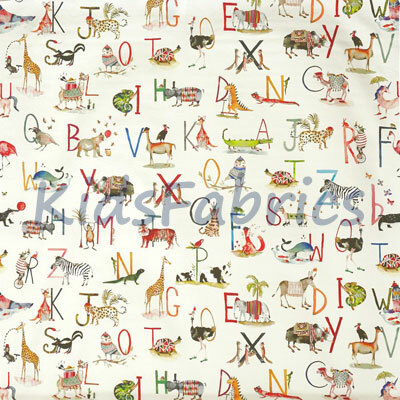 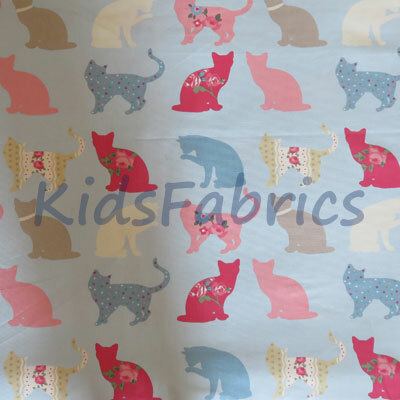 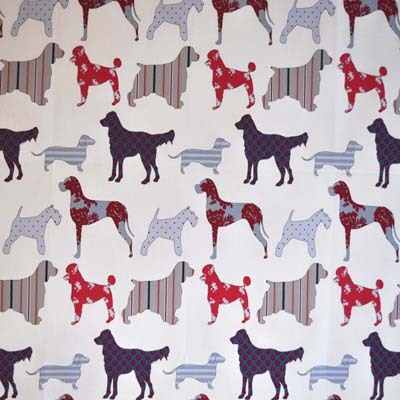 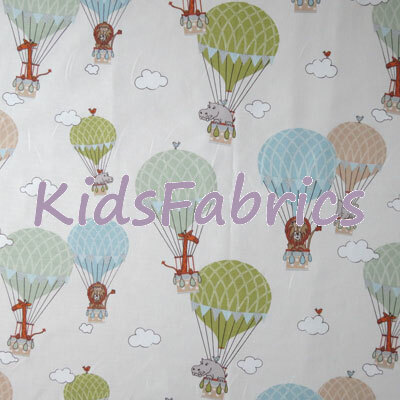 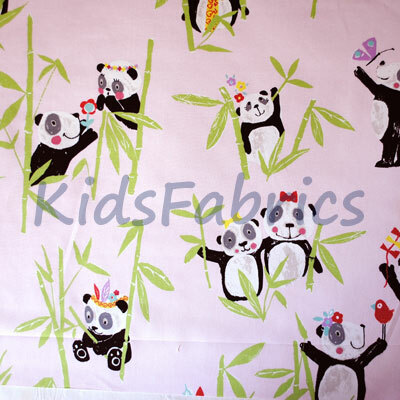 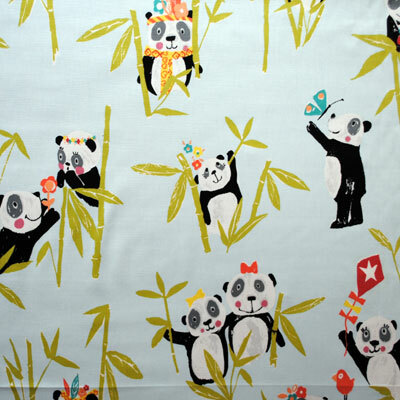 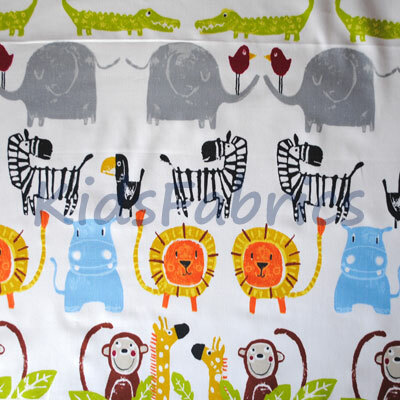 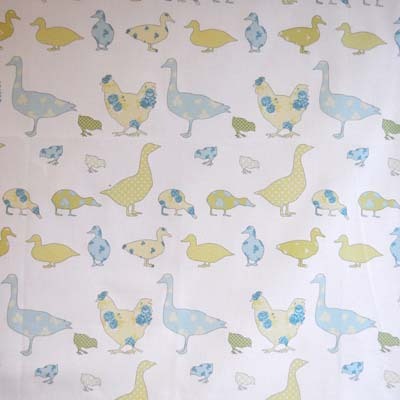 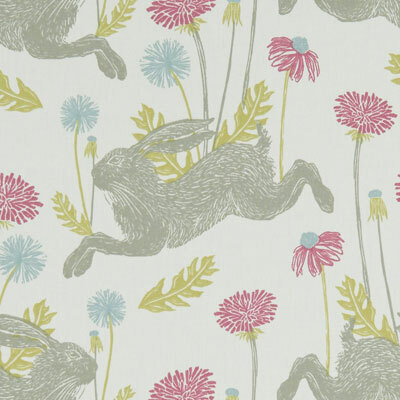 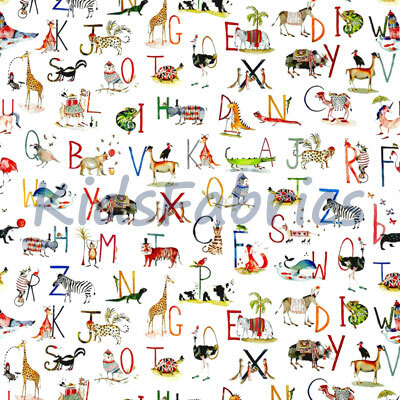 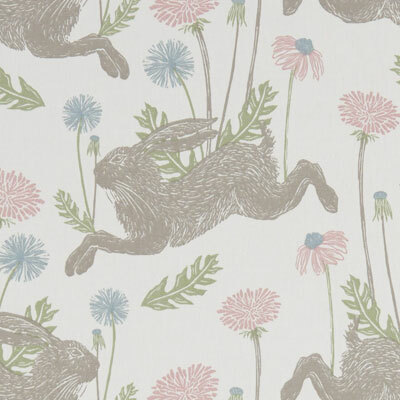 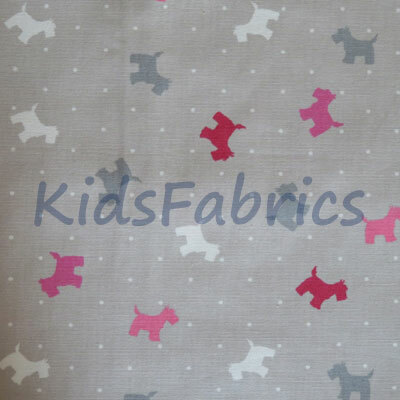 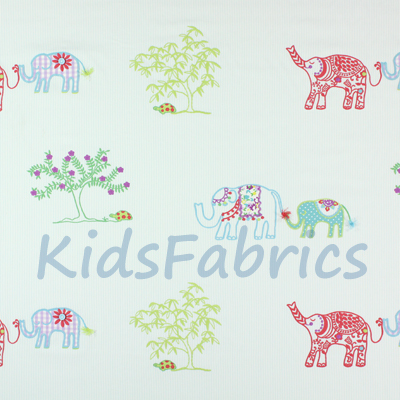 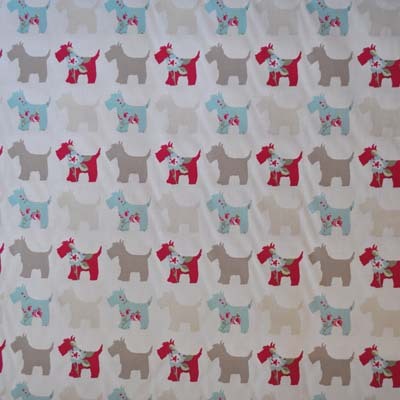 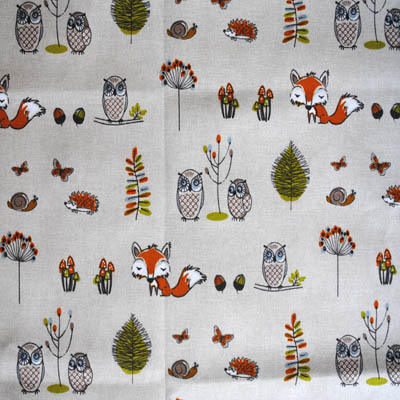 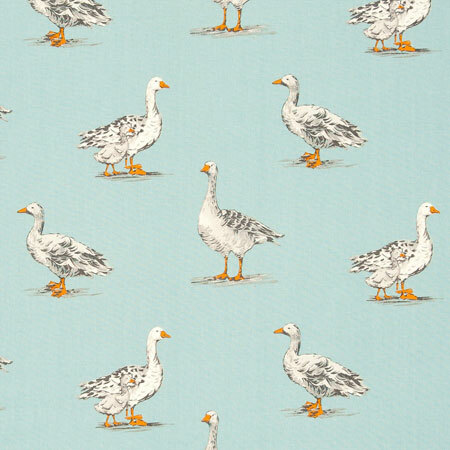 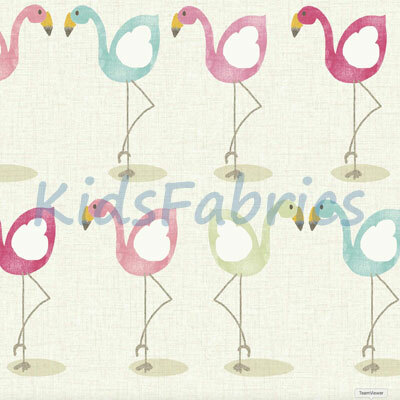 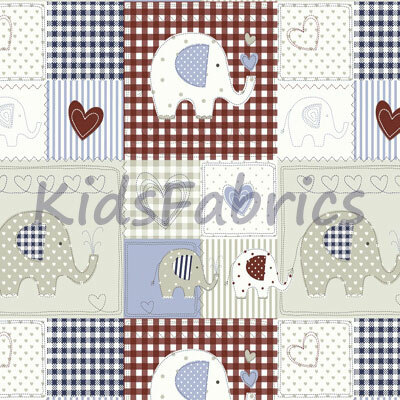 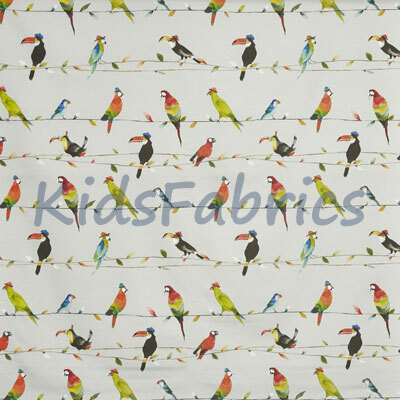 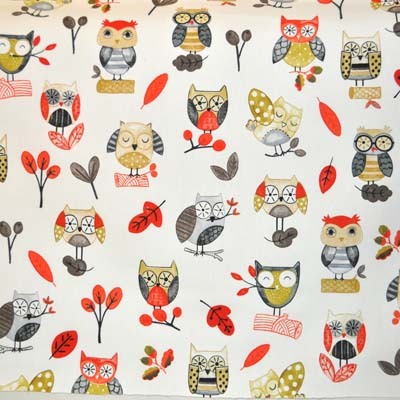 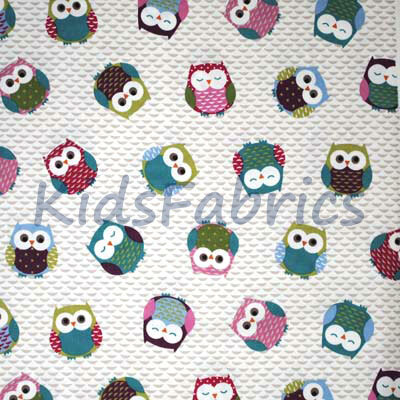 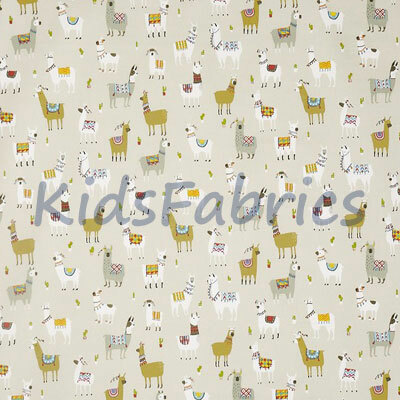 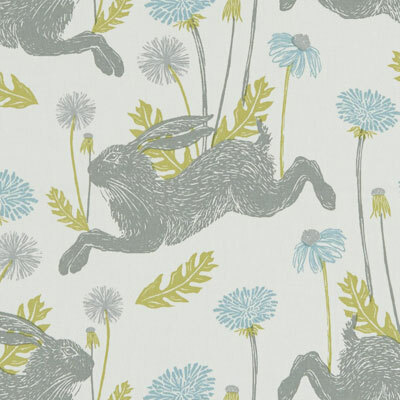 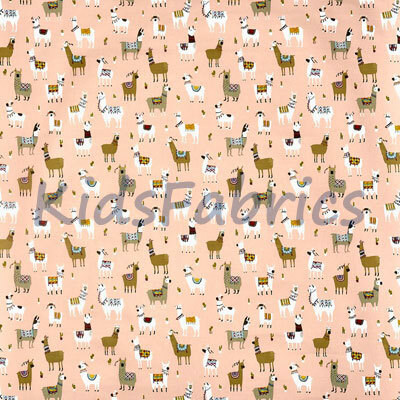 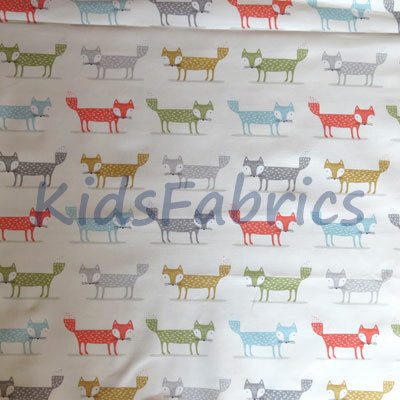 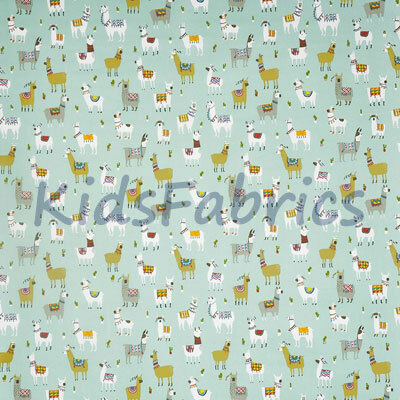 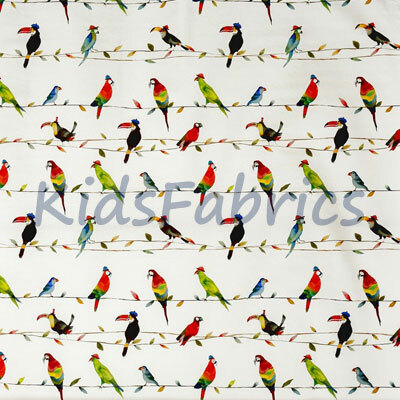 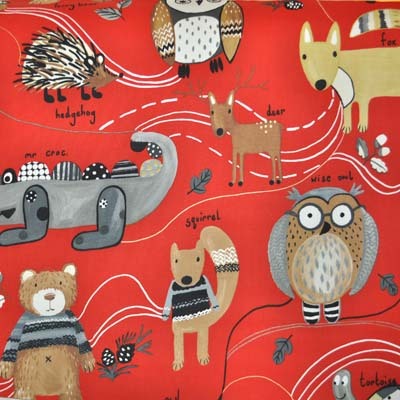 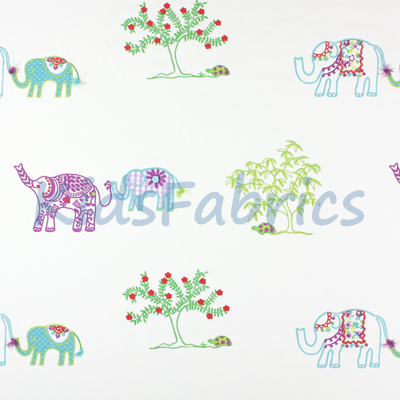 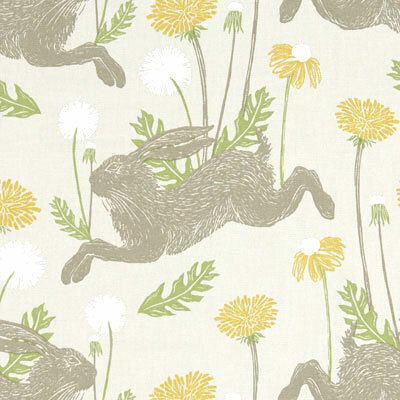 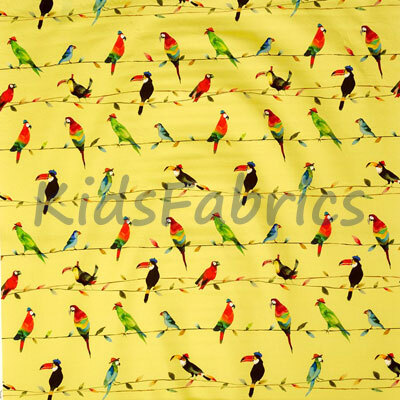 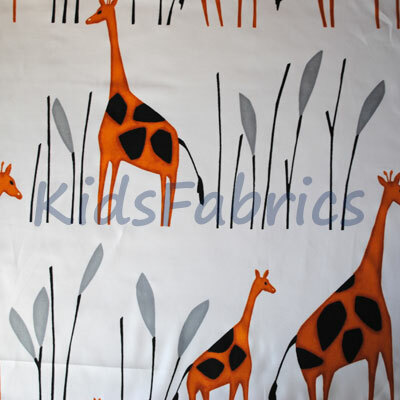 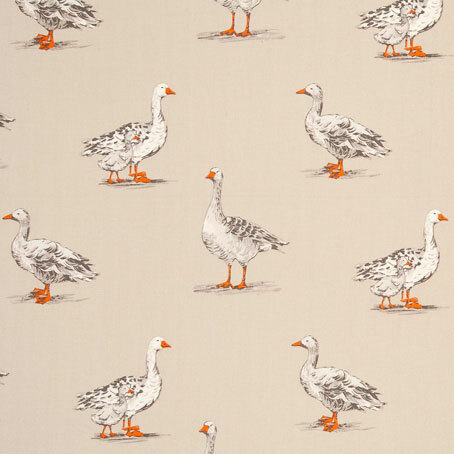 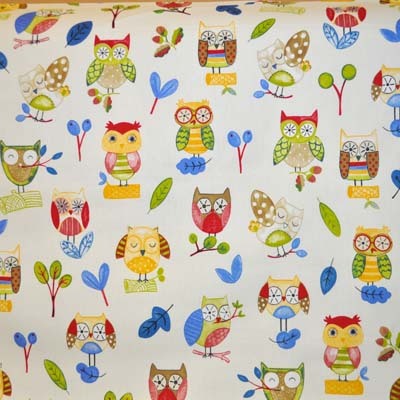 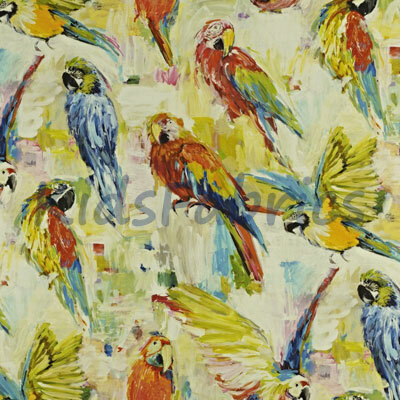 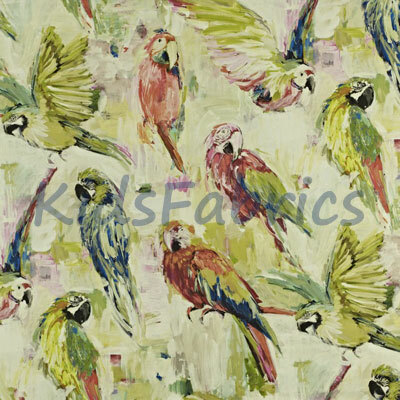 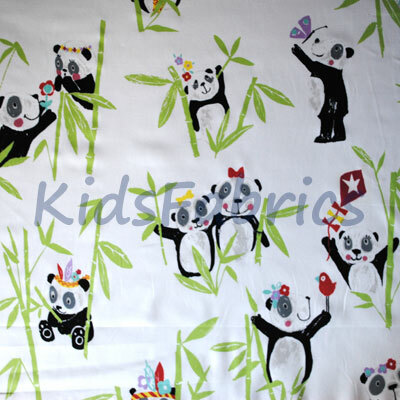 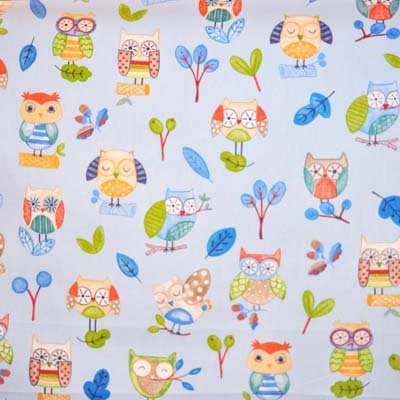 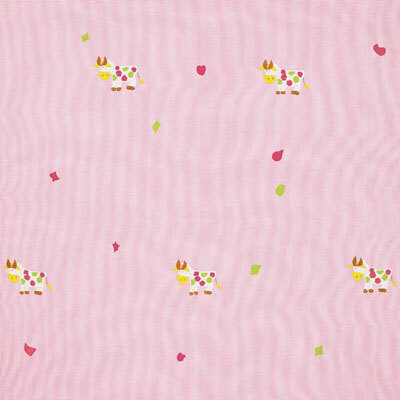 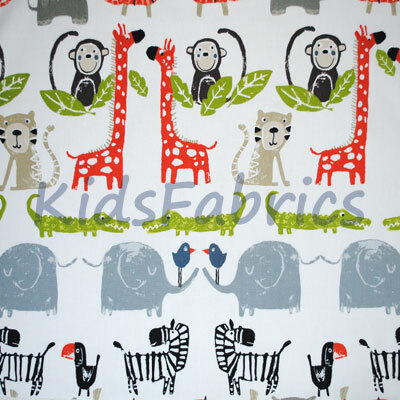 Animal theme furnishing fabrics for kids rooms. 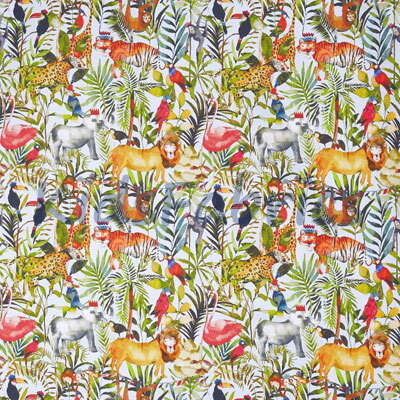 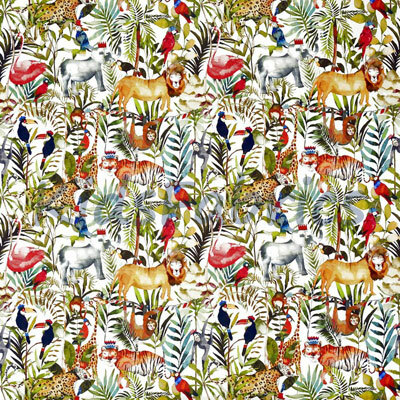 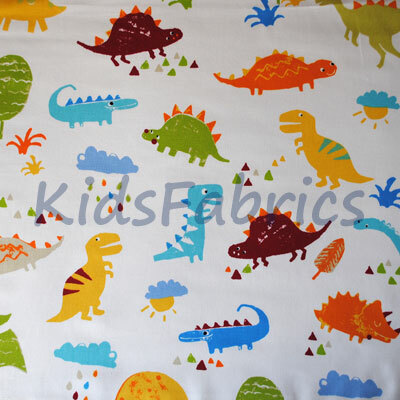 Featuring dinosaurs, jungle, farmyard, woodland, birds, cats, dogs, owls, pandas, elephants, bears, giraffes all in 100% cotton prints. 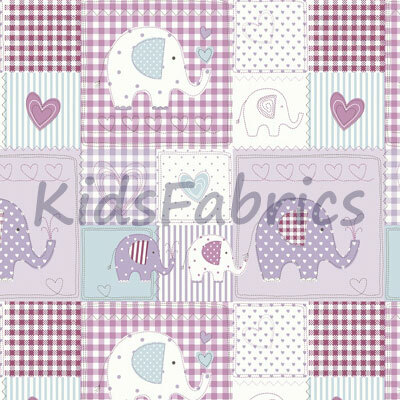 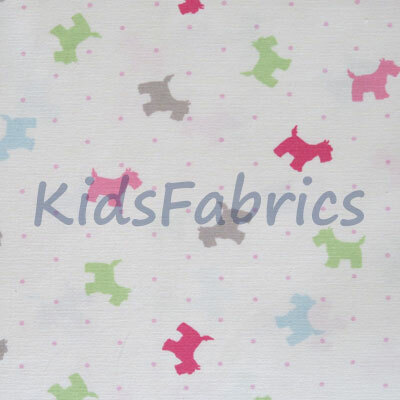 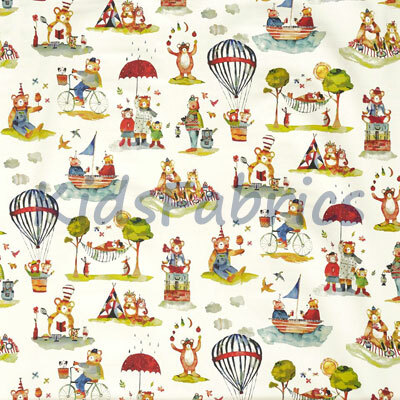 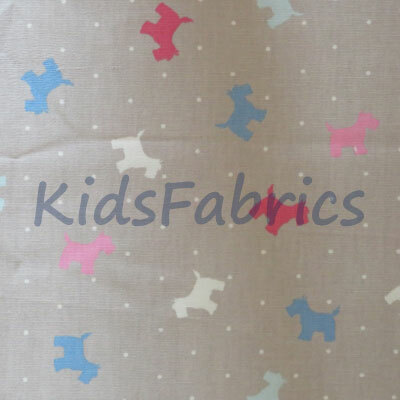 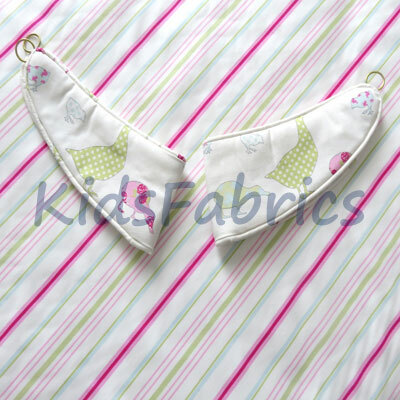 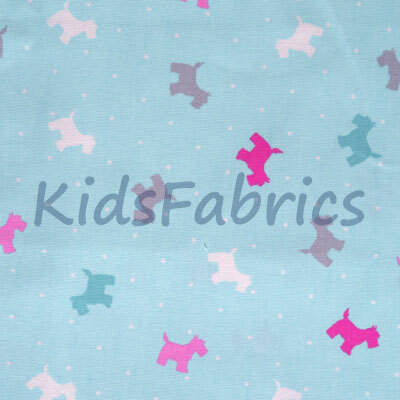 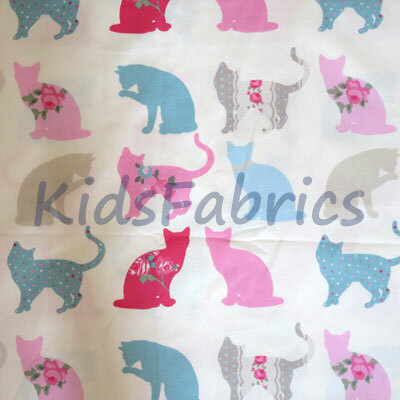 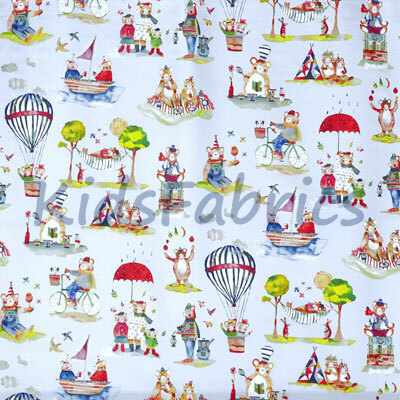 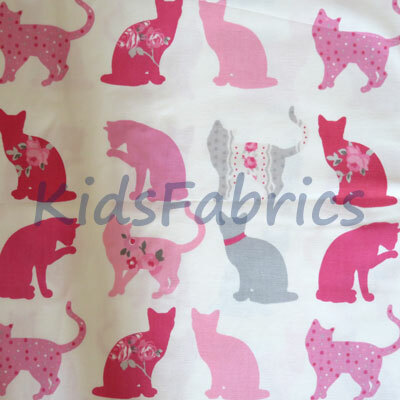 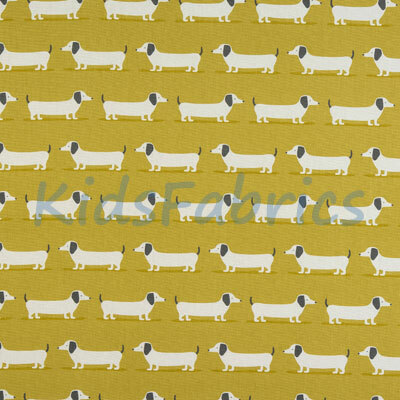 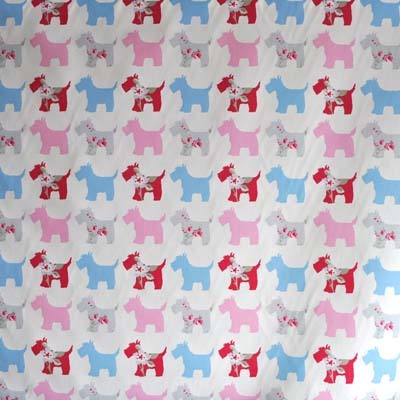 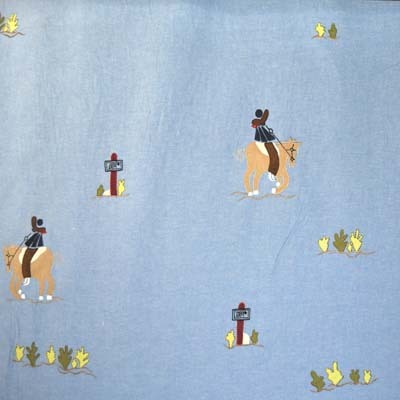 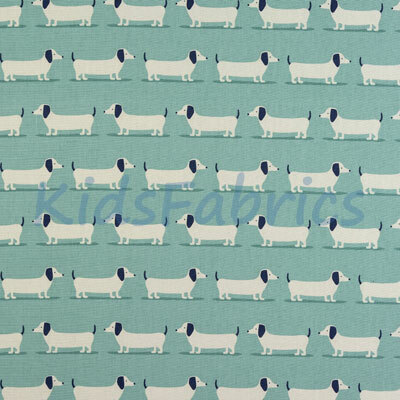 Fabrics from nursery age to older children's rooms.